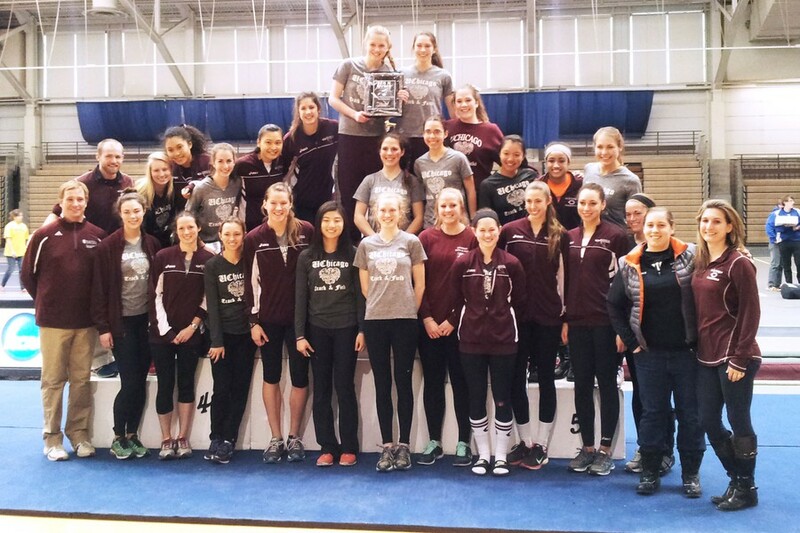 The women’s squad returned home from Brandeis this weekend with the UAA Indoor Championship in tow. This was the team’s first UAA win in five years, making the victory particularly notable. The women finished at the top of a seven-team field, beating the runner-up by an impressive 36.5 points to finish with a total of 140 points. The men finished sixth out of seven teams. Highlights on the women’s side included four event wins on Saturday and first-year Michelle Dobbs’ first career UAA title with a time of 2:16.73 in the 800-meter race. In addition, Chicago took first and second place in both the triple jump and the shot put. In the women’s shot put, second-year Nkemdilim Nwaokolo took first place with a throw of 12.14m, while third-year Reecie Dern took second with a throw of 11.83m. In the triple jump, third-year Pam Yu earned a victory with a jump of 11.02, and first-year Olivia Clink took second place with a jump of 10.82m. This put the exclamation point on a strong season for the women’s team, coming on the heels of their victory at the Margaret Bradley Invite last month. The men’s team also put forth a strong showing with second-year Michael Bennett topping the pole vault table with a height of 4.80m. Bennett said that he believes that the weekend competition was excellent preparation for nationals. “All of us were pushed by other UAA athletes who will most likely also be going to nationals and we all responded. That’s really what the national meet is all about—which athletes can remain calm and respond when put under pressure,” he said. Second-year Michael Frasco and first-year Nicholas Nielsen were also among the top finishers in the mile, with Frasco placing second in 4:16.80 and Nielsen third in 4:20.43. “It is impossible to run 80 miles a week, train to become a national champion, and survive at this school without the support of terrific teammates,” Frasco said. Overall, the men’s team placed sixth in the field with a total of 44 points. Next on the calendar for both teams is the University of Wisconsin–Stevens Point Last Chance Meet on March 8 before the NCAA DIII National Championships kickoff on March 14. The Last Chance Meet is an opportunity for those on the cusp of NCAA qualification to get the times or measurements they need to take that next step.